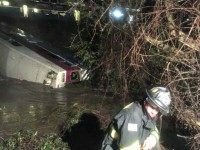 A train derailment near the North Texas town of Corsicana is being blamed on flooding related to former Hurricane Patricia. 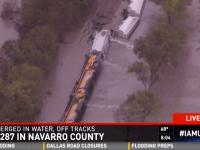 The freight train derailed after flood waters washed away a section of the train tracks. 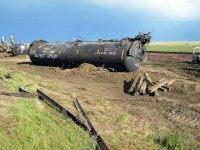 A train that derailed and spilled 35,000 gallons of oil in northeastern Montana was traveling within authorized speed limits, federal officials said Monday as they continued to probe the accident’s cause. 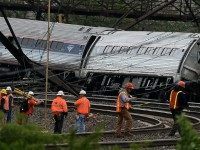 As the nation comes to grips with Tuesday evening’s Amtrak accident that took the lives of seven passengers, government sources reveal that rail accidents and derailments have increased over the last few years, with Amtrak’s rates higher than the rest. 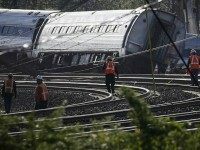 PHILADELPHIA (AP) — Rescue crews searched the mangled wreckage for victims Wednesday as investigators tried to determine why an Amtrak train jumped the tracks in a crash that killed at least six people, injured more than 200 and plunged screaming passengers into darkness and chaos. 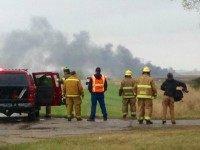 Rep. Kevin Cramer (R-ND) traveled to his state of North Dakota to view the train derailment that occurred Wednesday morning near Heimdal, North Dakota. He noted that “no amount of regulations” would prevent accidents from occurring. Two men accused of plotting to attack a passenger train travelling from New York to Toronto were found guilty of several terror-related charges and could spend the rest of their lives in prison. The rail cars that split open and burst into flames during a western Illinois oil train derailment this week had been retrofitted with protective shields to meet a higher safety standard than federal law requires, according to railroad officials.